At every conference, contests are conducted where the conferees are invited to submit manuscripts in different genres. 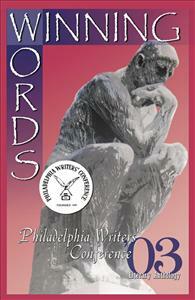 All submissions are evaluated by professional writers/editors and winners are selected. Although the winners are acknowledged at the annual awards banquet held during the conference, their work has, for the most part, remained undiscovered. With the goal of bringing their material to a broader audience and of providing the writers with the gratification of seeing their work in print, the PWC decided to publish the winners of each category in an annual anthology.